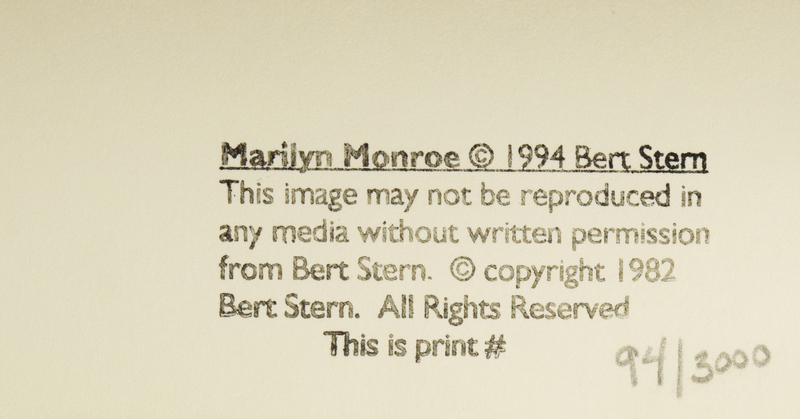 Bert Stern signed and numbered print of Marilyn Monroe. 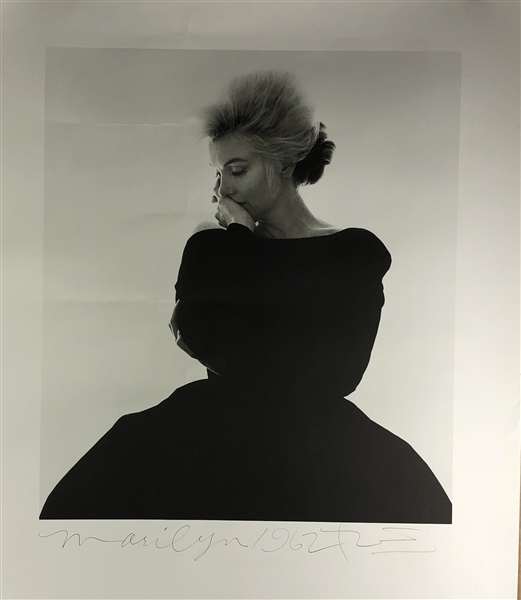 Signed in pencil "Bert Stern" lower right. Numbered in pencil "94/3000" on verso. Good condition with fold, roll or crease lines. Measures 32" x 26". This is a great image does have some minor creases which probably can be fixed.